We scheduled our vacation this summer to give me a Sunday off from church on our return, with the added bonus of, for once, going to church together as a family without any of us being on the clock. I was excited to be able to worship with my son without worrying that my professional responsibilities would get in the way. Finally I could have an authentic worship experience with him without the guilt that comes from not giving him the attention he demands. It was all going very well until I pointed out to him that it was all going very well. All of a sudden the 6 year old who was attentively listening to community announcements melted into a pile of whining, fidgety boy-ness. Two of my most vivid childhood memories of worshiping with my parents are of laying down on the pew with my head resting on my mom’s lap and of fishing Certs Wintergreen Mints from her purse. Despite the seeming shallowness of those worship memories, I also have the very strong memory of being in church every week, and I believe that this is one of the most important lessons we teach children when we worship with them. I am normally in a very unique position as both a pastor and a mother, in that I am both working and parenting during worship. I know all of the frustrations of worshiping with children, especially when they are your own. I also know the usual ways that we try to get around the difficulties. Instead of just listing them here, I want to offer a counter-argument to each of them in order to broaden our understanding of the responsibilities that come with teaching children about worship. I am not able to have my own worship experience. There is no doubt in my mind that I experience worship differently when I am with my son. I can’t help but be annoyed by his lack of attention or his seemingly intentionally difficult behavior. Yet, I try to remind myself that just as with everything that comes with parenting, this season will pass too quickly. Choosing to raise a child in my faith tradition means that for a time my worship life is not all about me. It is possible to have authentic worship experiences with your children, but if you don’t have them with you in worship (wiggles and all) and you don’t work on it together, the chances are obviously reduced. and those who are worshiping around us. I have definitely been in the position of finding noisy children around me distracting. But I have also experienced people apologizing to me after a service for their distracting children whom I hadn’t even noticed once. It must be a part of Einstein’s theory of relativity that we inevitably find children to whom we are related way more annoying in worship than anyone else’s children. In my congregation, which has embraced the inclusion of children in our worship life, the noises of children in the sanctuary are not distractions, but rather a sign that the congregation is vital and growing. Let’s be honest: normal sounds of children’s presence are not distracting. If people don’t want to sit next to children, they can find another seat. One note of caution - it is possible for a child, or even a particularly loud adult cougher or sneezer, to impact a worshiping moment negatively with their noise. Maybe the word “wedding” says enough to make my point. I am the queen of this technique and even keep small toys in the pockets of my clerical robe to give to my son during worship. Whether it is toys, books, note pads and crayons, or even specially provided children’s bulletins, each child is willing or able to be distracted by different things, and it took me a while to find just the right ones for my child. On the flip side, I realized last Sunday, as I helped my son work on his Lego minifigure sticker book during the sermon, that the distraction I was providing was not only not teaching him how to worship, it was teaching him that worship is not important. or at least out of most of the service. I should come clean and admit that this is the schedule that we employ at the congregation I serve, with the exception of the summer Sundays. Children come in with their parents and leave after the children’s sermon, which is about 15-20 minutes into the service. You can hear a collective sigh of relief from parents and the congregation as the children exit the room. Sadly, this schedule also allows us to provide additional programs for our children that parents are not able/willing to bring their kids to during the week. 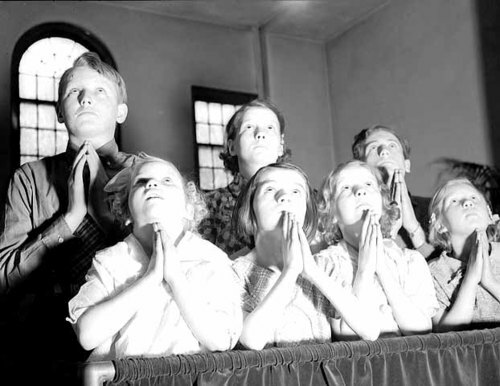 Some congregations do not include children in their services at all, or rather, if children participate in educational programs they are required to miss the service entirely. 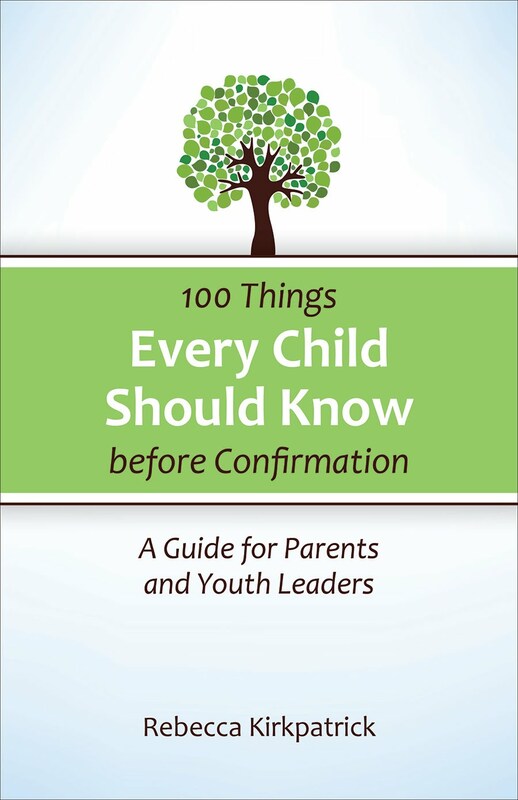 The problem with the philosophy of dismissing children early is that they often don’t hear the scripture readings for the morning, are not present for Communion, do not witness the commissioning of members, ordination of elders and deacons (some of whom are their parents) and confirming of young adults, miss the taking up of the offering, and even the chance to shake the Pastor’s hand at the door. When I ask children, and even some youth, what their favorite part of the worship service is, they most frequently say baptisms. Now, we do a good baptism in my church, and most of the adults would also admit that this is one of their favorite worship moments. I would argue that it is the favorite of children because it is something unusual, something beautifully liturgical, something visual and tangible that they can remember and relate to – and we do it before the children’s sermon. Last week I took my son with me to a friend’s wedding (see wedding comment above) planning to use my newest distraction technique – the iPhone. It was not as successful as I had hoped, and eventually I took it away and asked him to pay attention to the wedding with me. I should mention that this was the wedding of a former pastor to a theologian, so we are talking an hour and a half service, not your typical twenty minutes and done. But we suffered through it together. Had I left him to the phone or even left him at home with a babysitter, I would not have had the opportunity towards the end of the service to walk with him to the baptismal font as the gathered congregation renewed their baptismal vows. I would not have had the chance to kneel with him at the pool because the line was too long at the font. I would not have had the chance to make the sign of the cross on his forehead and remind him of his own baptism 6 years ago, or to receive the sign from him on my forehead reminding me of my baptism 35 years ago. All the fidgeting, grumping, taking off and putting on of shoes, and loud whispers every few minutes were worth it for that one moment. I love this topic. It speaks to the growth and life of the church. And I - the mother of three very active boys who really are paying attention even though they seem miles away - know the pains of 'the look', 'the shush', and 'the departure'. But let me lay it on the line: I love that my boys are in church. When I was a child, my vivid memory was of my mother leading the choir and my brother, sister and I being handled (I use that term lightly) by my father. He would be asleep or muttering about the sermon, and would sometimes discipline us or take us out of the sanctuary to threaten us (which often led to nothing for me and spankings for my brother). My oldest sister? Well, she would be reading some book, so she was never in trouble. But I do remember the congregants around us. They never said, "Take this child out!" or "Church is no place for children!" On the contrary, they were our village of help. Especially Mrs. Bookwalter. Mrs. Bookwalter often corralled us while my mother led the music. One Sunday, my brother busied himself with sliding under the pews on the shiny hardwood floors. As he bolted past pew five or six, he was stopped at pew seven by Mrs. Bookwalter. She scooped up Todd, placed him in her lap, wrapped her arms around him, then held on tight as he proceeded to kick her shins black and blue. But she did not relinquish her grip. Nope. He eventually died down and God won over one little soul that day. (Or at least subdued it.) And you know what? My brother goes to church every Sunday. So does my distracted sister. And so do I... the one who sat and listened attentively. Why do we all attend church? Well, I had heard a study once that the single most predicting factor for church attendance is whether or not your FATHER was a church attender. And the other predictor? The active participation of a parent. Well, my father went (even if he did sleep sometimes and complain others) and my mother led the choir. I guess God placed us in the rich environment of what worship really is: a community of believers who go for the mountaintop moments and the drudgery. Who attend at Christmas and Easter as well as the hot, sweaty summer days where little church fans are your only air conditioning. I must say one more thing. My oldest son decided to sit in church by himself this past Sunday. Now, usually I am telling him to sit-up or read the readings with me. Often I will have to shush him or tell him to stop writing on the church offertory packets. But last Sunday, he sat, stood, sang, read, and listened.... apart from me. Did he see me modeling? Did he witness his father praying? Did he just need the opportunity and practice to show us that God is in him too? I think so. I really, really do.